A new website lets TiVo users watch their recordings straight from a browser, though some extra hardware might be required. With the proper hardware, TiVo subscribers can now stream their DVR shows from any laptop or desktop web browser. 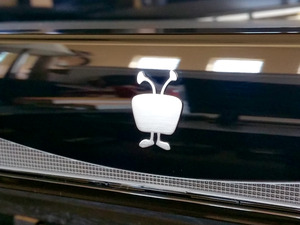 The new feature, called TiVo Online, launched this week without much fanfare. 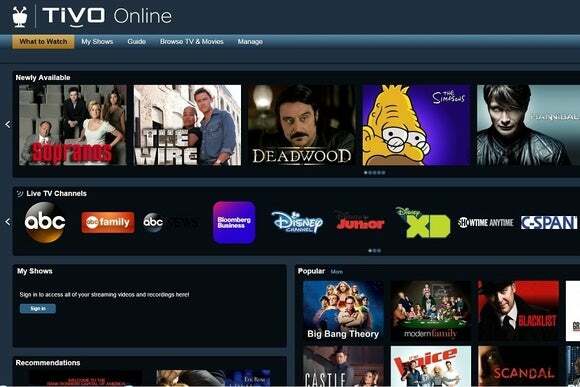 As Dave Zatz notes, it's a variant of an existing web portal that TiVo had built for certain cable partners, now made available for all TiVo customers. Here's how it works: First, you need either a TiVo Roamio Plus or Roamio Pro, or another model with the $130 TiVo Stream add-on connected to it. If you meet the hardware requirements, a green “Watch Now” button will appear for any show you've recorded (with exceptions for certain programming that has additional copy protection). You can also stream live TV from a TiVo box by navigating to the Guide tab. Even without the necessary streaming hardware, you can still use the TiVo Online to remotely manage DVR content. The site also acts as a portal to other online video sources such as Hulu, HBO Go, TNT, and the Disney Channel. TiVo clearly aims to have one place where you can find streaming video and manage your own local recordings. The only catch is that users must be at home to watch live and recorded videos from their DVRs. Zatz speculates that remote streaming is disabled to avoid angering TiVo's broadcast- and pay-TV partners. Why this matters: In the age of online video that's accessible from anywhere, the idea of being restricted to any one screen is downright archaic. But that's what TiVo's high-end DVRs and Stream add-on had effectively done, limiting users to streaming on phones and tablets. The new site is a good start in making TiVo recordings more accessible; hopefully it's a sign that streaming to game consoles, smart TVs, and set-top boxes is on the way.